Heatcare provides luxury care homes for the elderly in south England, and have worked with Walraven for many years. They are one of the UK’s most highly-respected and accredited contractors working in the care industry, building a reputation for high quality design, delivery and engineering expertise. Heatcare are committed to providing technical excellence, quality workmanship and a highly reliable service. 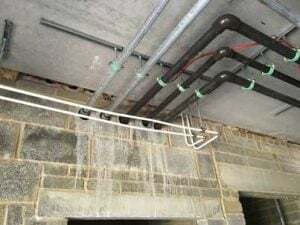 Heatcare asked us to work with them to find a way to speed up the installation process for the mechanical services througout their care home projects. Given the number of projects they work on, the cumulative benefits are potentially substantial. We recommended our BIS RapidRail® system as it offered a fast and flexible solution. This included our green-lined clips which are perfectly suited to plastic pipe systems where expansion is expected. With the added benefit of pre-fabrication in our own factory, we could deliver pre-assembled units for immediate installation. To achieve this we carried out a full design take-off, including calculations for the entire building, taking into account factors such as the expansion needed for the services when differences in temperature occur. Collaboration is important on these kinds of projects early in the process to ensure accurate exchange of information so that suitable designs can be made. 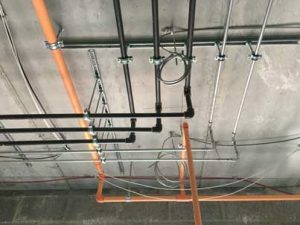 Correct information is critical to make sure that the pre-fabricated systems fit perfectly to the final site conditions. 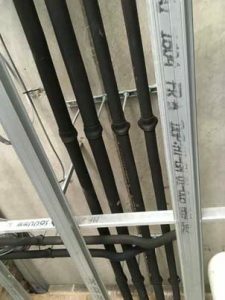 “BIS RapidRail® is our preferred bracketry system for installation projects. It is a great quality product that is fast and easy to install. We have saved over 150hrs installation time using this product range. We have also usedWalraven’s design, take-off and pre-fab services which helped the project run very smoothly. We would highly recommend Walraven products and services”. Would you like to reduce installation time on your projects? Contact our team to find out how we can help you with technical issues and choosing the right products for your needs.